LEIF is the only electric skateboard in the world that rides exactly like a snowboard, enabling riders to shred pavement just like they would powder, 365 days a year. The brand sells exclusively online, at a higher price point within a hyper-competitive industry. LEIFTECH partnered with Fetch & Funnel to scale their business using paid social advertising. Historically, campaigns were expensive and the cost to acquire a new customer was increasing. Margins were stretched thin, and campaigns were breaking even while competitors with deep financial backing were getting aggressive. The brand needed a new approach, along with a new strategy that was tailored to fit their individual business model. Rebuild all campaigns and implement a top/middle/bottom of funnel approach. Segment campaign structure by age, gender, demographic, platform, geography, and ad placement. Segment retargeting by 7/14/28 day audiences for tailored messaging. Integrate Facebook Messenger into Facebook advertising campaigns. Design, build, and implement chatbots within specific areas of the sales funnel to increase conversion rates. Within eight months Fetch & Funnel scaled total company sales by 320% while maintaining a ROAS of 5X or higher. 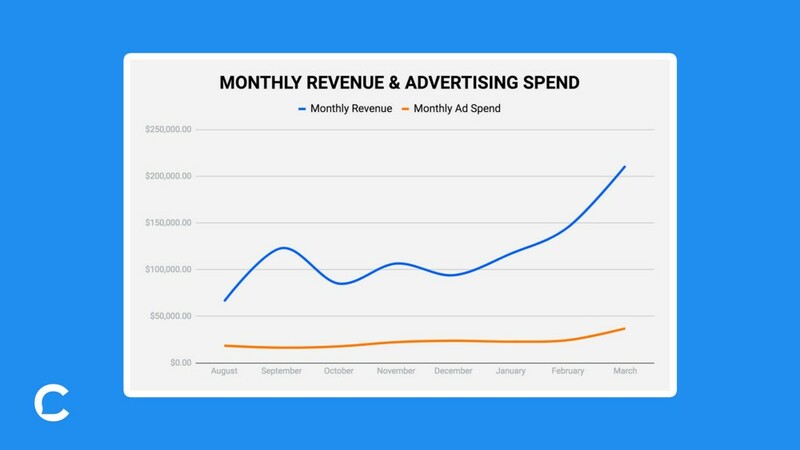 They rebuilt all campaigns, designed and implemented an eCommerce funnel within Facebook, and continually pushed the envelope in order to test new tactics, methods, and strategies. 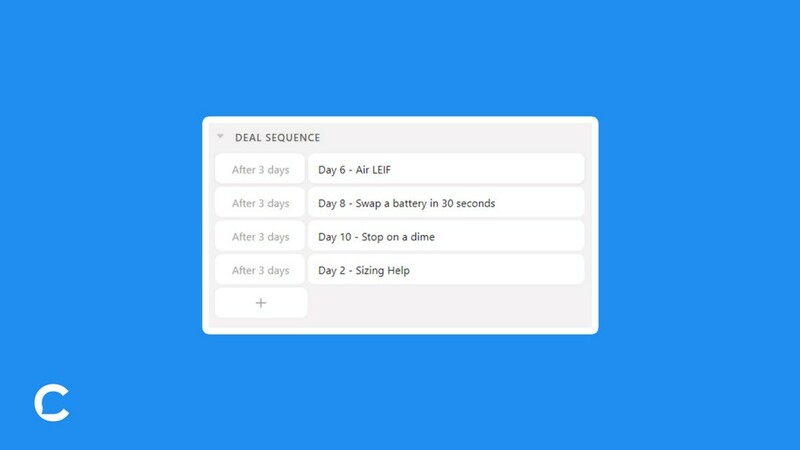 The results were stellar, and Fetch & Funnel has since taken their learnings and continued to push their methods even further. 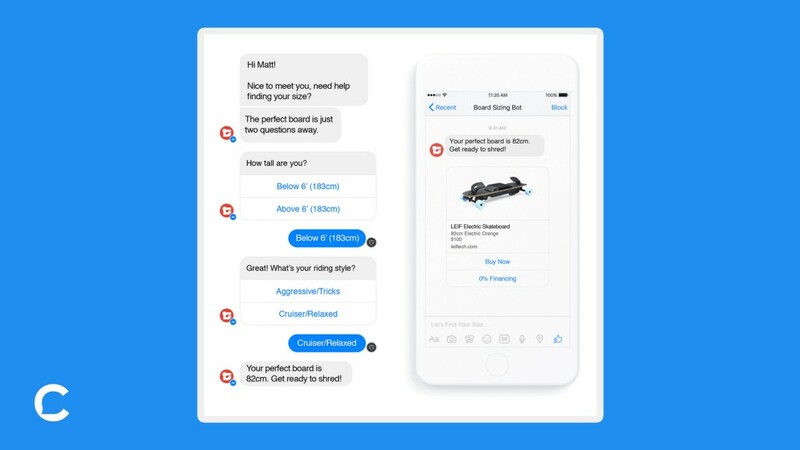 Build a product sizing bot for Facebook Messenger to help customers make the right purchase. LEIFTECH sells a product with a higher price point, and determining which size board is a major purchase decision. Height, riding style (aggressive/tricks/casual), and stance are all important factors in product selection. 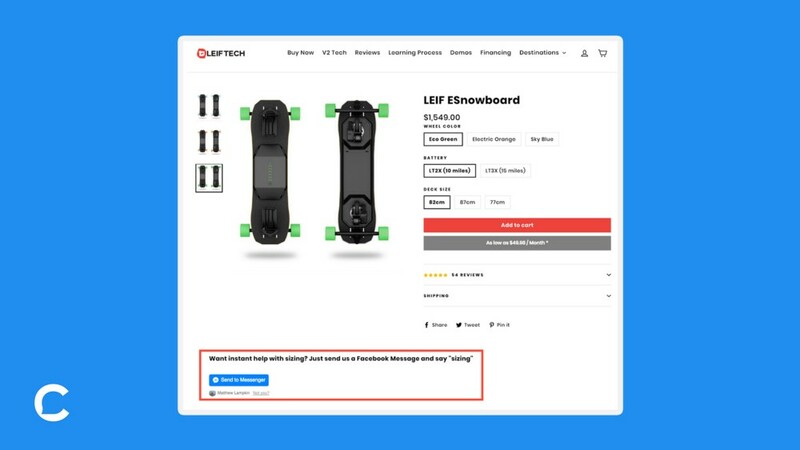 Fetch & Funnel decided to create a Messenger chatbot to walk people through sizing options, and recommend the perfect board for their riding style. This offered reassurance and confidence in their decision to make the purchase. Use Facebook Messenger to generate sales and increase conversion rates. Integrate Messenger into Facebook advertising strategy. 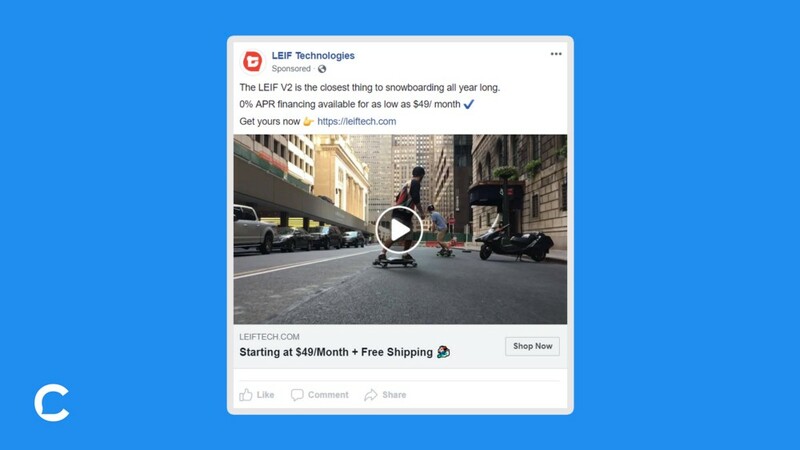 Having already seen tremendous results from implementing a set of cross-channel campaigns, Fetch & Funnel decided to increase conversion rates within LEIF’s Facebook advertising funnel. The retargeting funnel had consistently generated a 7.5X ROAS. The team knew this could be improved, however website conversion rates were low. 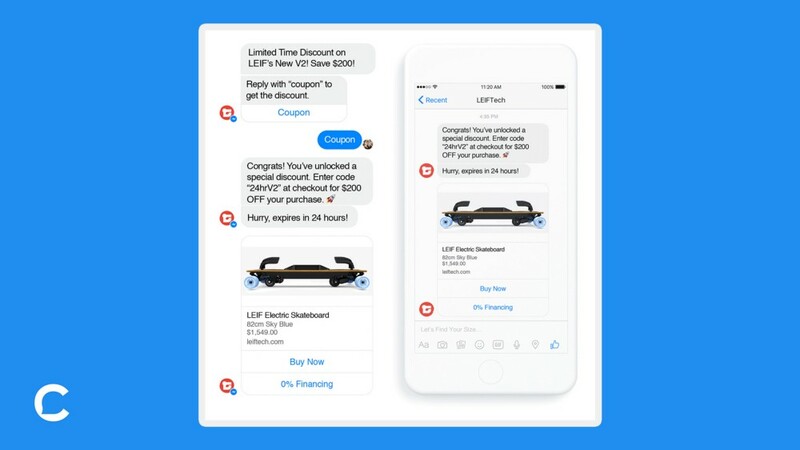 Instead of sending retargeting traffic back to the website (hoping for different results), Fetch & Funnel altered the user experience and sent retargeting traffic into Facebook Messenger. 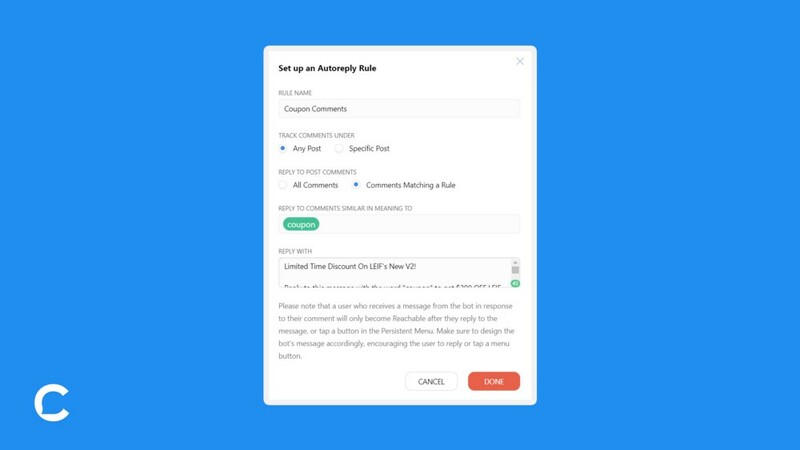 The team built a chatbot designed to deliver a coupon code via Messenger, which would then take users directly to the checkout page in Shopify with the discount code applied. Results were stunning! Before the bot, LEIF generated a 7.5X ROAS and $234 CPA. After the bot, they enjoyed a 50.4X ROAS and $34 CPA. Fetch & Funnel is a social advertising agency that helps modern brands scale. They recommend combining Facebook Ads & Messenger Marketing for a powerful punch! 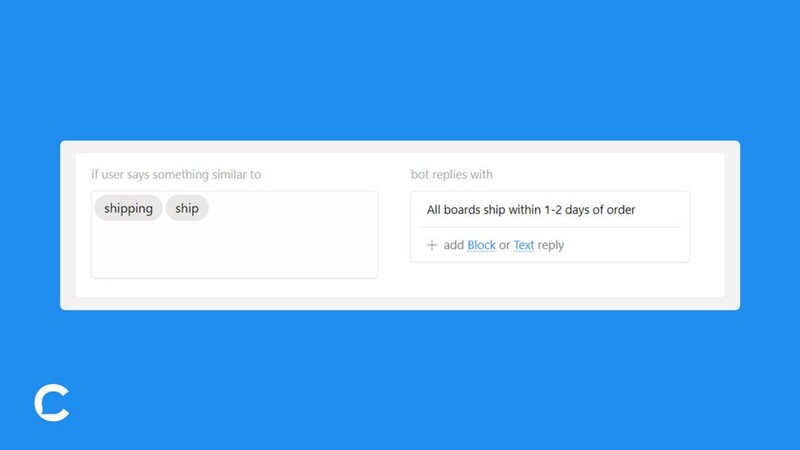 Click here to start building your bot today!